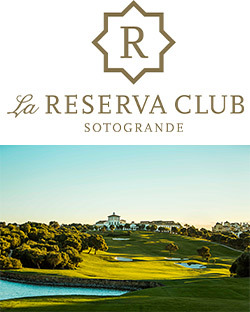 La Reserva de Sotogrande Invitational, a Ladies European Tour event sponsored by La Reserva de Sotogrande and organized by Deporte & Business that will be played from 16 to 19 May, will mark the first of three visits to Spain for the LET in 2019. Cabell B. Robinson’s design in the Sotogrande resort will be the touchstone for the best LET golfers in a tournament that could be crucial in the qualifying for the European team that will try to regain the Solheim Cup at Gleneagles, Scotland. La Reserva de Sotogrande Invitational will be the first of nine European stop on the 2019 Ladies European Tour international schedule and the best tour golfers will have another chance to shine in a privileged stage. Nestled between the Mediterranean Sea and the densely wooded Andalusian hills, La Reserva Club de Sotogrande offers stunning vistas and wide fairways, the best combination for an epic spectacle. Sponsoring this event, La Reserva de Sotogrande writes a new chapter of its historic and well-documented relationship with sports and relies on women’s golf to communicate the values that best represent this unique community in the heart of Sotogrande. Marc Topiol, CEO of Sotogrande S.A., spoke about this at the media presentation that took place at the Centro Nacional de Golf. “I’m glad we could reach an agreement to host an additional event in the LET annual calendar and participate in this adventure, a very nice complement of what is happening in Sotogrande on an ongoing basis. The idea was very simple: we try to be ourselves, as La Reserva de Sotogrande, which is a place for families. I think is very important for us to support women’s sport and women’s golf. Sotogrande, both the destination and the company I’m privileged to run, has been first in many things and we are very proud in creating the first LET event in Sotogrande. I hope it last for a long, long time”, stated Topiol. Gonzaga Escauriaza, the Royal Spanish Golf Federation’s President, thanked the press and all the members of the presidential table and emphasized the importance of this event. Mark Lichtenheim, Ladies European Tour’s CEO, highlighted the media impact of La Reserva de Sotogrande Invitational and the weight Spain carries in the tour. The last speaker in the press conference was Alicia Garrido, Executive Manager of Deporte & Business, the company organizing the three Spanish events on the 2019 Ladies European Tour international schedule (La Reserva de Sotogrande Invitational, Estrella Damm Mediterránean Ladies Open and Andalucía Costa del Sol Open de España Femenino), and the Santander Golf Tour, the national women’s pro tour. Garrido made good use of her time to break down some of the technical aspects of this event. "La Reserva de Sotogrande Invitational will be a full-field event with 126 players (of which 10 spots will be for invitations), and a prize fund of €300,000. There will be three hours of live television coverage per day throughout the tournament. We’ve made a great effort to have that kind of coverage, but we think it is essential for women's golf to reach a lot of homes where is not already well-known. This is a new tournament and it’s being held at La Reserva de Sotogrande; that’s why it needs to have the best players and we will do our best to get them. The tournament will rise to the challenge of a great venue. It’s going to be a very exclusive event that will help to make known the unique lifestyle of Sotogrande”, explained Alicia Garrido. You can follow all the news and updates of La Reserva de Sotogrande Invitational at its website, and on Twitter (@lareservagolf), Facebook (La Reserva Sotogrande), Instagram (@lareservasotogrande) and Youtube (La Reserva de Sotogrande Invitational).